Residential solar photovoltaic (PV) systems are rising in popularity as they continue to fall in price. Different from "passive" solar systems that use the sun to heat thick interior walls during winter months, solar PV panels actively generate electricity from sunlight. A driving force behind their popularity is a direct reduction in a home's monthly electricity bill as well as a hedge against future rate increases. Many homeowners now enjoy monitoring their level of electricity generation and energy savings on their smartphones in real time. However, a solar PV system's contribution to the market value of an existing home at resale has proven much harder to quantify. One problem with estimating any value premium from solar PV has been system owners themselves. Academic studies have shown that people installing active solar systems tend to remain in their homes much longer than average. Whether they are installing the systems for economic reasons, environmental reasons or both, they typically plan to enjoy their investment for an extended period. As a result, homes with solar PV seldom turn over. This has led to a scarcity of comparable sales for appraisal purposes. A number of real estate professionals and academics have begun to look into these and other related issues in recent years as more systems have been installed. A key goal has been to expand awareness and market acceptance of residential solar. This article examines the solar PV sector and recent research involved in accurately estimating any market premium for the systems at resale. 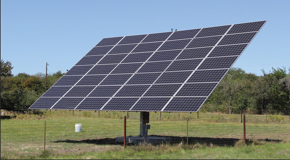 The three types of solar PV systems are grid-tied, grid-tied with backup power, and off-grid. Grid-tied systems are most common. The solar panels produce DC current that is then changed or "inverted" to AC current and fed back into the local utility lines. Although not mandatory in Texas, some utility providers allow "net metering," in which any excess electricity generated is fed back through the homeowner's electric meter for a credit against power used. A homeowner's electrical meter can even run backward when more power is being generated by the solar panels than is being used in the home. "The most popular misconception I've experienced from homeowners with grid-tied systems is their belief that the panels will continue to produce power for the home when their utility provider has a power failure," says Paul Roebuck, president of Texas Professional Real Estate Inspectors Association. But that is not always the case. Roebuck also notes that under the Texas Real Estate Commission (TREC) Standards of Practice, solar PV systems are exempt from home inspections. Although inspectors are allowed to examine systems more thoroughly than required by TREC, Roebuck says they rarely do. Randy Barfield, owner of Barfield Inspection Services in Cedar Park, agrees. "I just note in my inspection report that I carried out a visual inspection of the system to see if it's running," says Barfield. "I actually don't know of a place I could go to obtain a certification to inspect a solar PV system." Barfield suggests that potential homebuyers looking at an existing home with solar PV should try to contact the system's installer to obtain more detailed information. Some negotiation between buyer and seller may be required if the solar PV system has been financed and the note is not yet paid off, Barfield says. Installers report that companies financing solar systems may or may not use a mechanic's lien to insure payment of the loan. One reason for the increase in residential solar popularity has been the development of innovative financing tools. Some specialty lenders advertise that they will finance solar PV systems for as long as 15 years. However, almost none of this financing is being done by local lenders. Grid-tied solar with back-up power is the second-most common system. A bank of batteries is installed at the home to continue providing power in the event of an outage. The length of time backup power will be available is a function of the size of the battery system and the ability of the solar panels to continue charging the batteries during the power failure. The least common system is off-grid solar PV, where the home is totally dependent on electricity generated by the solar panels and stored in a bank of batteries. Off-grid systems are usually installed in homes located in remote areas and are often integrated with backup generators to lower the size of the battery bank needed. Residential solar systems are usually mounted on the roof of the home but can be mounted on the ground or on special-purpose structures such as garages, carports, or pergolas. South-facing rooflines are most desirable but not mandatory. Roof-mounted systems are generally the easiest and least expensive to install and put little stress on the roof. "A roof-mounted system puts about five pounds of pressure per square foot on a roof deck," says Scot Arey, owner of Solar CenTex, a solar PV system installer in Harker Heights, Texas. These systems should be removed by professional installers when a new roof is needed. Ground-mounted and special-purpose systems may be more expensive, depending on the level of support structure that must be built and the distance from the utility tie-in. However, the additional cost may be offset by the dual functionality of a solar carport or pergola. Solar PV systems are generally mounted in a fixed position, but ground-mounted versions that track the sun throughout the day are another residential option. "A two-axis tracker will produce about 36 percent more power than a fixed system," says Arey. "Although the trackers are more expensive, the economics of the extra power can outweigh their extra cost in some cases." According to the Solar Energy Industries Association (SEIA), a national trade group for the solar sector, almost 500 solar-related companies are located in Texas, employing over 7,000 people. The companies provide a variety of solar products and services, including installers and component manufacturers. Arey says he is seeing a growing interest in solar-related employment. "More people are looking at solar as an industry of the future," says Arey. "Folks coming out of the oil and gas sector have really shown an interest lately as those jobs have disappeared." Although government and utility-based incentives have helped make active solar PV systems more affordable, their cost can still be significant. However, the cost of solar PV systems continues to decline. Nationally, the total installed cost of a rooftop solar PV system has dropped about 66 percent since 2010 according to the SEIA. Bloomberg recently reported that solar panel costs alone have fallen about 69 percent during the same period and may decline another 15 percent by 2017. With global panel manufacturers fighting for market share, 90 percent of sales are now going to just a handful of large companies that have been able to survive the price declines. Cost reductions discussed above reflect reductions before any federal, state, municipal, or utility-based incentives or rebates are considered. In December 2015, Congress passed a last-minute multiyear extension of the federal investment tax credit (ITC) for solar installations. Looking ahead, homeowners will continue to receive the current 30 percent federal dollar-for-dollar credit if they install a solar PV system by the end of 2019. The credit will then step down to 26 percent in 2020 and 22 percent in 2021. The tax credit will expire entirely in 2022 unless Congress chooses to pass another extension before then. Currently, the ITC has no cap. For other incentives, the North Carolina Clean Energy Technology Center offers a comprehensive source of information on available energy efficiency funding programs and rebates by state, including those for solar systems at http://www.dsireusa.org. Recent academic and government-sponsored studies have shown that although the size of residential solar PV systems can vary a great deal, they generally average about 3 to 5 kilowatts (1 kilowatt equals 1,000 watts or 1kW). The most current studies also reveal a "gross" installed cost per watt of about $3 to $5 before incentives. The "net" cost would be at least 30 percent less assuming a homeowner takes advantage of the federal ITC at a minimum. Based on a gross cost of $4​ per watt for a 4kW system, a homeowner would pay $16,000 before incentives. The net cost would then drop to $11,200 after the homeowner received the cash benefit of a reduction in federal income taxes by taking the ITC. Payback periods to recoup the initial investment in a system can be five to eight years or longer, depending on a number of factors including lifestyle and local power cost. Several recent academic studies have found that solar PV systems do contribute to the value of an existing home. An in-depth eight-state study funded by the U.S. Department of Energy (DOE) in 2015 concluded that a net installed solar PV system cost estimate calculated at the time a home is listed for sale may be the best proxy for a solar market premium. The study analyzed almost 4,000 homes equipped with residential solar between 2002 and 2013. Texas was not one of the eight states. Academics generally agree that a "value per watt" is the appropriate metric for valuing PV systems, not a premium as a percentage of the home's sale price. Using a percentage value resulted in too much variability due to large differences in size of PV systems and price of homes. The most recent academic study published in the winter 2016 edition of the Appraisal Journal demonstrated that the cost and income approaches can also be used to calculate residential solar PV premiums. Unfortunately, several studies have revealed that some lenders' underwriters require appraisers to use the sales comparison approach exclusively when a home with solar PV is being appraised. As a result, if one of the comparables is not a similar home equipped with a solar PV system, some underwriters will assign zero value to the PV system. The Appraisal Journal study also estimated an average PV system value premium of $3.78 per watt. Using an example of an existing home listed for sale that has installed a 4kW system, the value contribution from solar PV would be just over $15,000. All PV systems in the study were less than 12 years old. Available financing, reduced costs, and financial incentives have begun to aid in the growth of residential solar. Alternately, two major barriers to stronger solar PV growth are lack of documentation and lack of education. Academics have suggested that, although difficult, states should aspire to implementing the following documentation improvements. Develop a public database regularly updated by system installers, utilities, and permitting authorities that allows practitioners to verify PV system details. It should include the PV system's size, year of installation, and state whether the system is owned or leased. Label the electrical box with the same inputs found on page 3 of the Appraisal Institute's Residential Green and Energy Efficient Addendum, making a permanent record onsite. The addendum should also be placed in the multiple listing service (MLS) listing as an attachment for potential buyers, other sales agents, and appraisers to use in understanding or valuing the system during the listing period. MLSs should include searchable PV fields that include system size in kW, system age, warranty term, and system location (ground, roof, other). An appraiser would ideally review the owner's utility bill for the past year to verify the home's utility rate and system output. They should also have access to net solar PV costs. Currently, most of these suggestions are not in effect in Texas. However, there are states where such efforts have been successful. In 2009, the Colorado Energy Office (CEO) pioneered implementation of a common set of "green" fields in all 16 MLSs across the state. CEO worked with key partners throughout the state, including MLS and Realtor associations, the Colorado Coalition of Appraisers, and the Colorado Chapter of the Appraisal Institute. The three largest home inspection organizations in the state, lenders, underwriters, and related professional organizations took part in the effort as well. The Appraisal Institute currently offers a two-day course titled Residential and Commercial Valuation of Solar to assist appraisers in attaining competency. However, as of 2015 only a few hundred appraisers nationwide had taken the course. The National Association of Realtors (NAR) offers a 12-hour green designation class, of which about 40 minutes to one hour is a discussion of solar PV systems. "There are 4,500 to 5,000 NAR Green Designees nationwide, but only 260 are located in Texas," says Amanda Stinton, director of sustainability and green designation at NAR. Elevate Energy recently received a $445,000 grant from the U.S. Department of Energy's SunShot Initiative to create three distinct classes about residential solar. "Real estate agents will be offered a three-hour class via the web and through NAR's online education outlet Realtor University for continuing education credit," says Pamela Brookstein, market transformation specialist at Elevate Energy. Two other classes will be developed specifically for appraisers and appraiser regulators. The first online class should be completed sometime in May 2017. 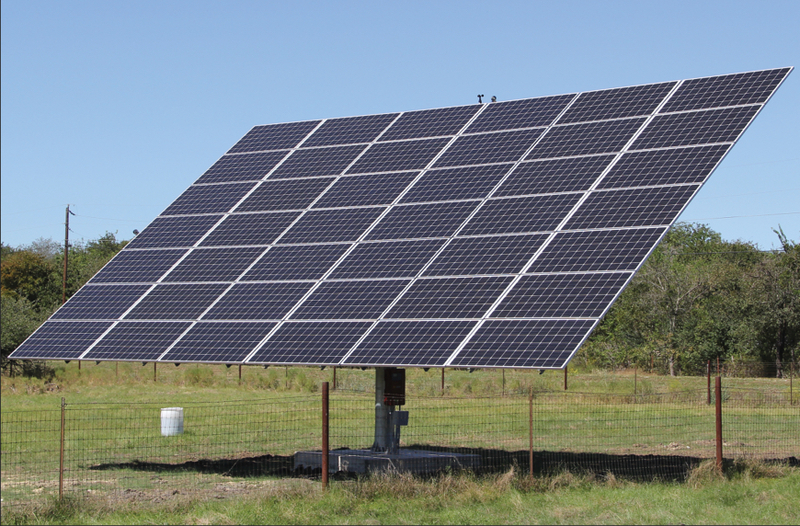 Residential solar PV systems are still a niche product in Texas. But studies have shown that clear identification of the contributory value of solar PV systems will help sustain their growth. Although reduced electric bills are an important incentive, homebuyers will be much more willing to pay a premium for the systems if the market reflects at least some incremental increase in their value at resale.